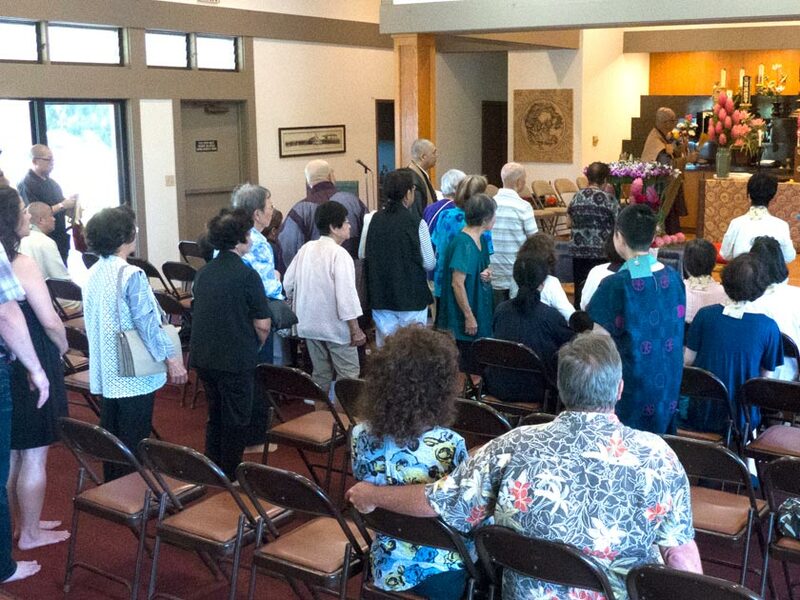 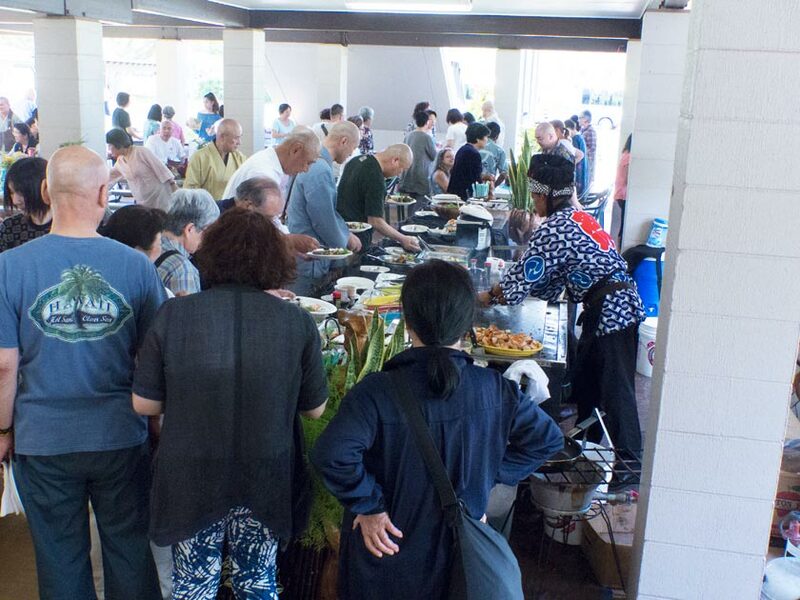 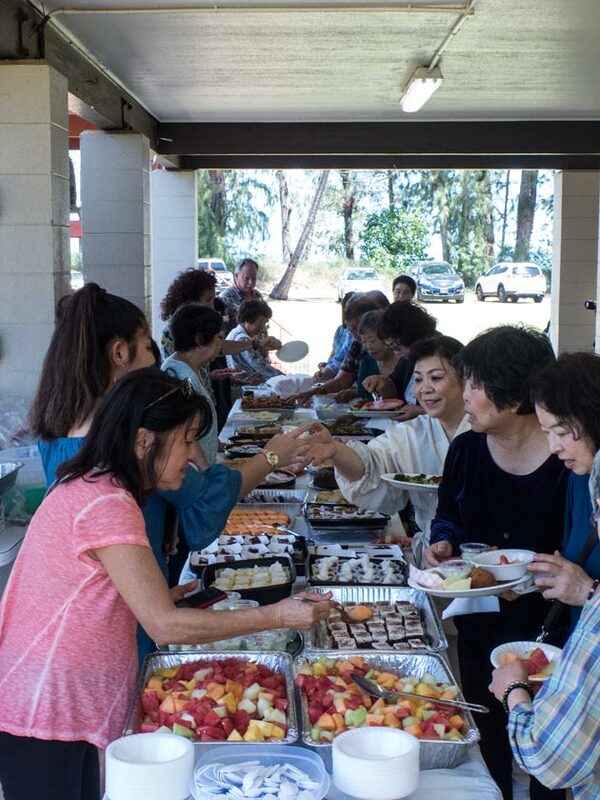 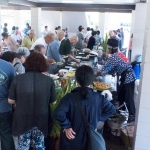 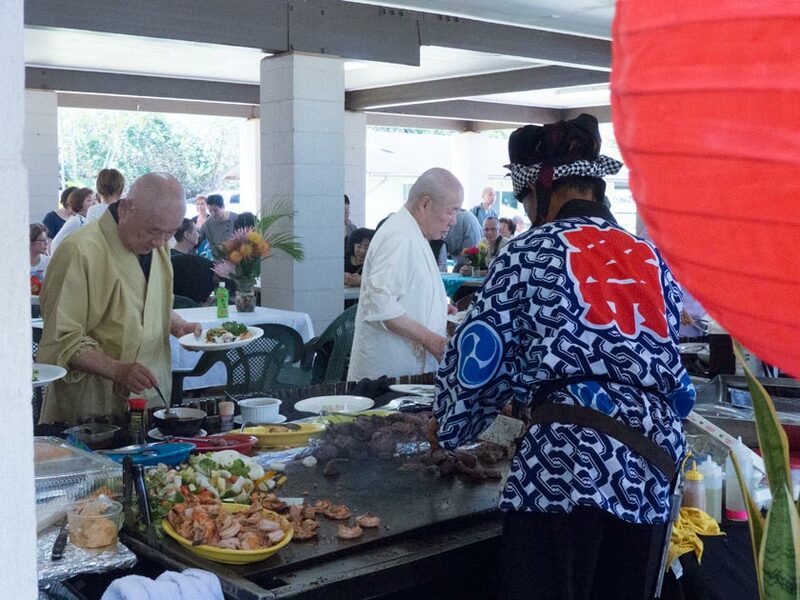 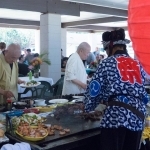 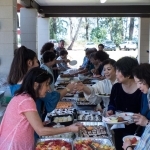 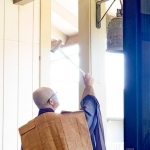 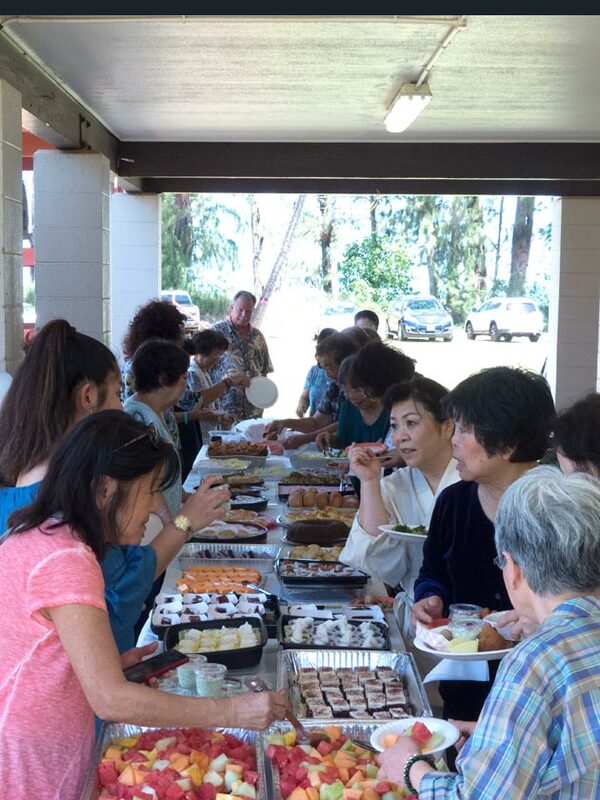 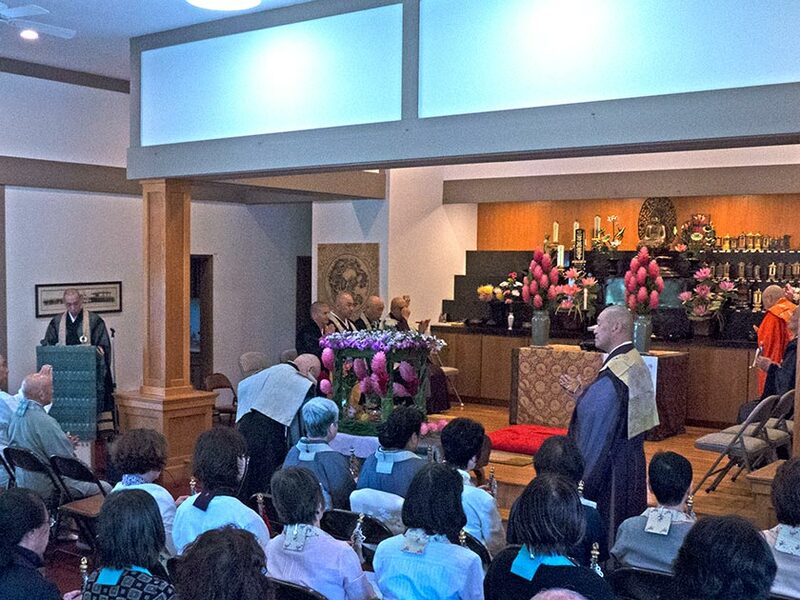 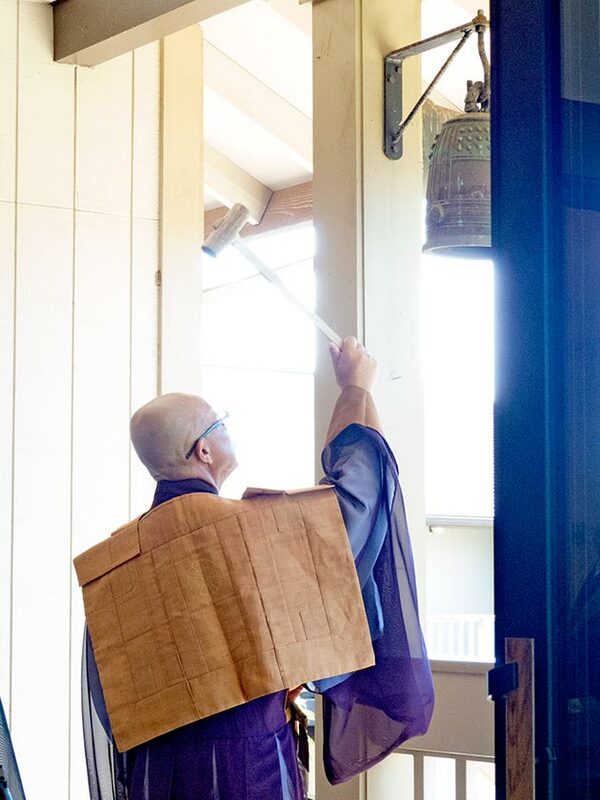 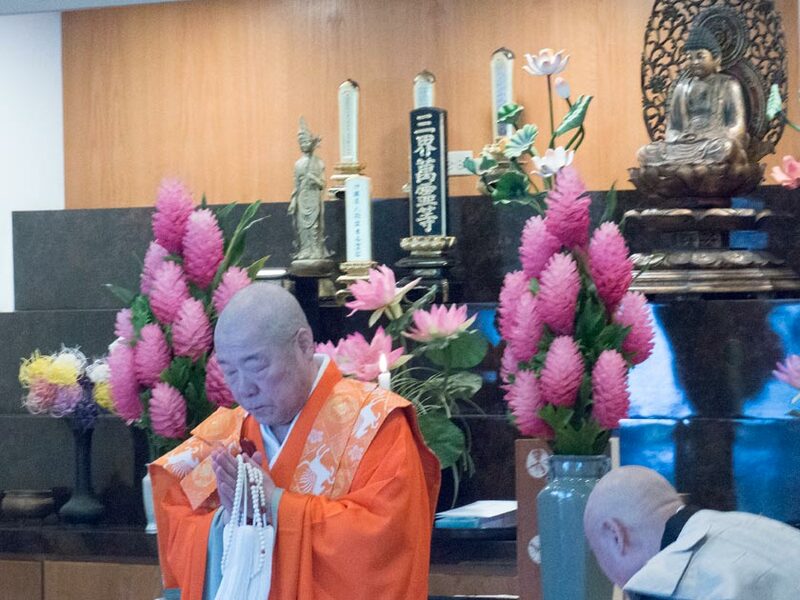 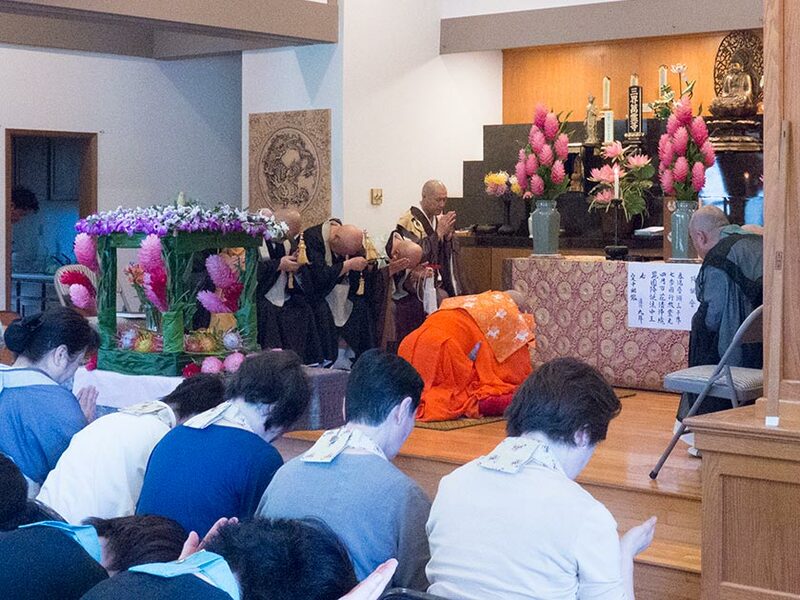 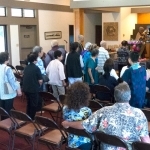 On April 2, 2017 the Rinazi Maui Zen Mission was honored by the presence of the Myoshinji School, founded in 1337, delegation who traveled from Japan for our annual combined Paia Hanamatsuri service. 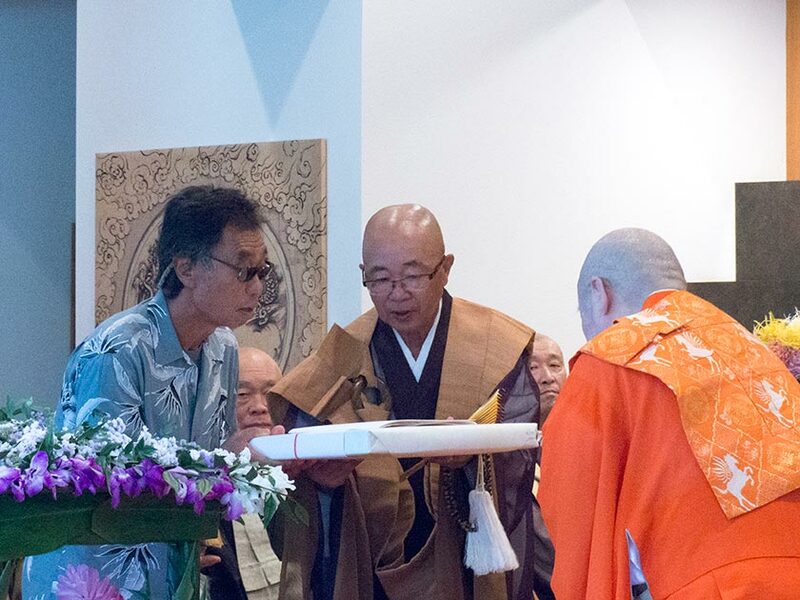 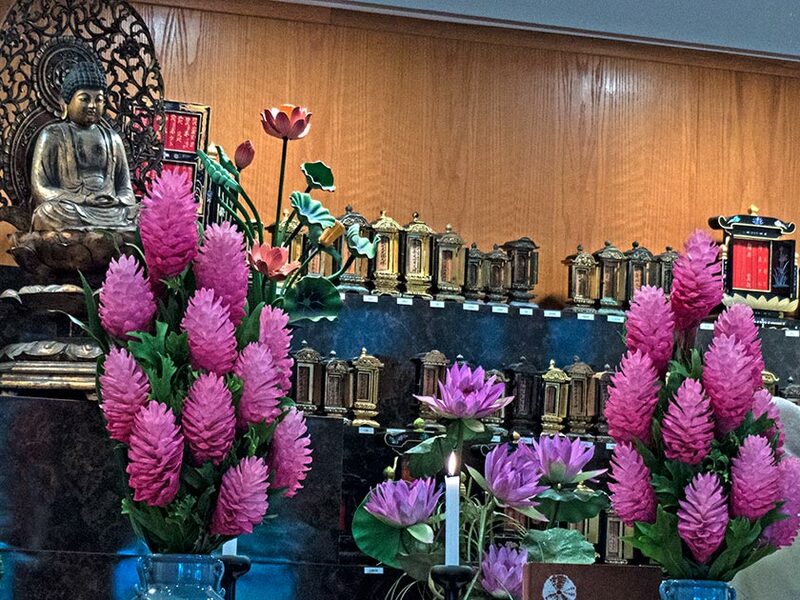 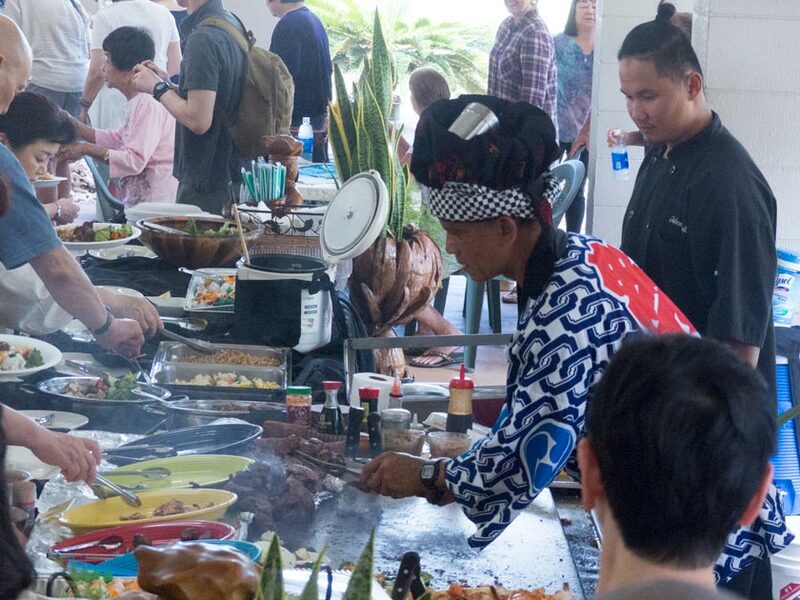 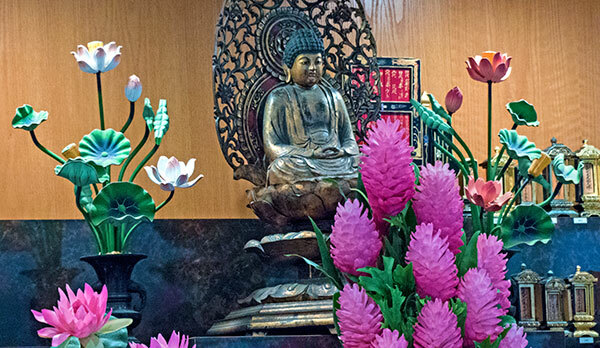 This was a wonderful success commemorating not only Buddha’s birthday but the 90th anniversary of Rev. 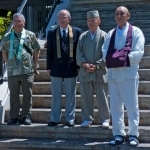 Okamoto’s arrival with the Myoshinji school in Hawaii. 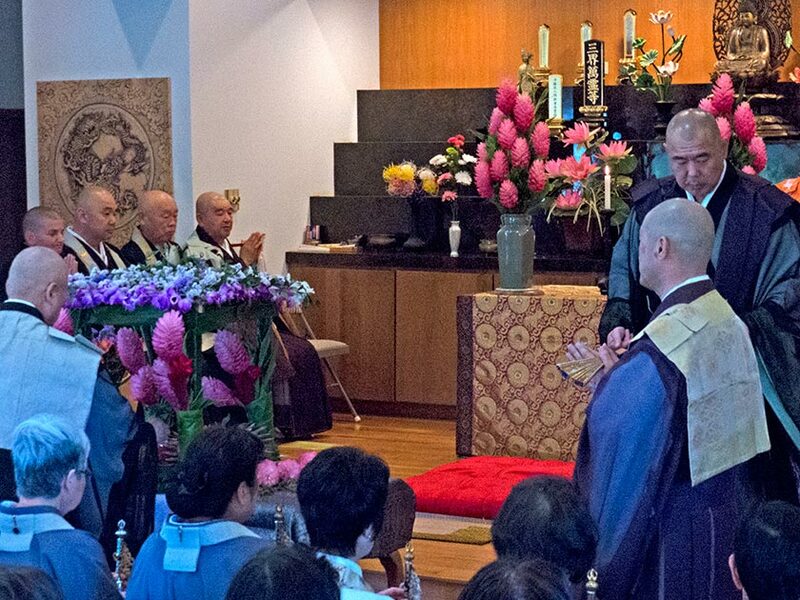 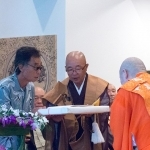 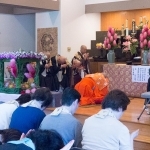 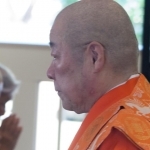 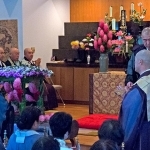 The dignitaries included the Most Reverend Kogaku Mine, the Chief priest of Myoshinji School of Rinzai Zen Buddhism, Rev. 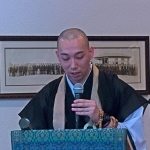 Shintai Mizuiwa, the Director of Myoshinji Finance, and Rev. 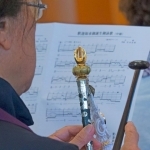 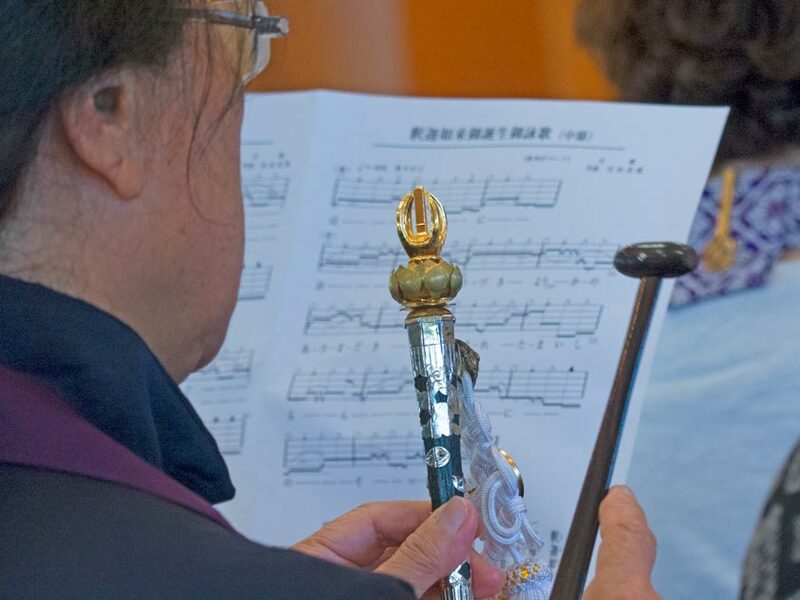 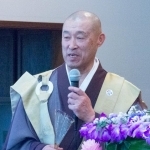 Hakudo Ayukawa the Director of the Myoshinji Membership organization also the Rev. 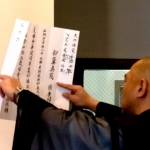 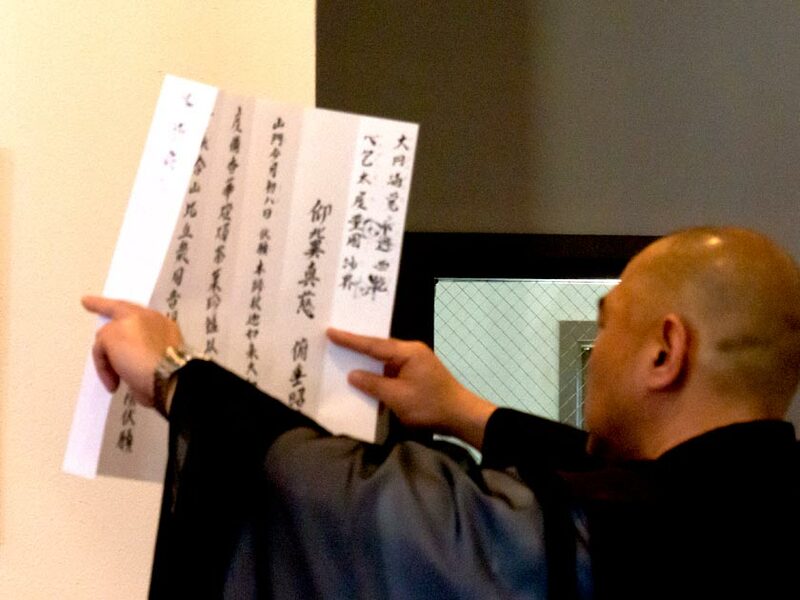 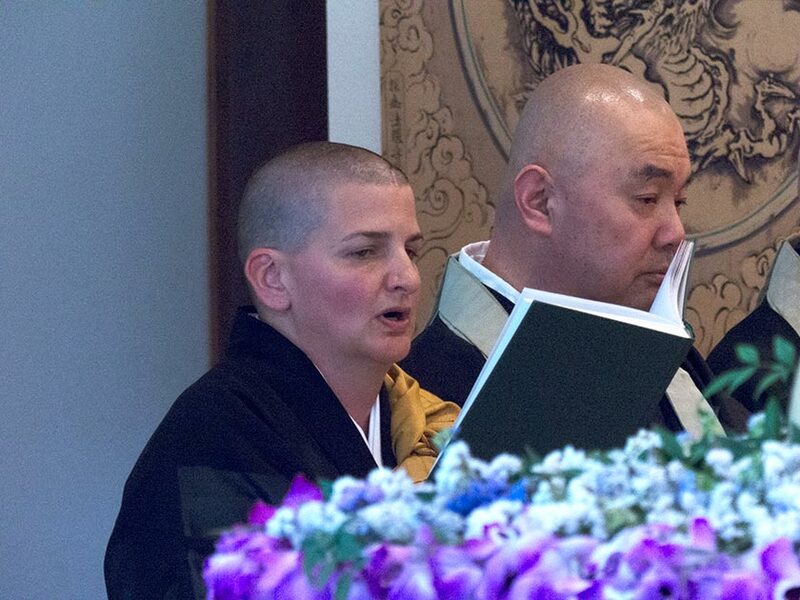 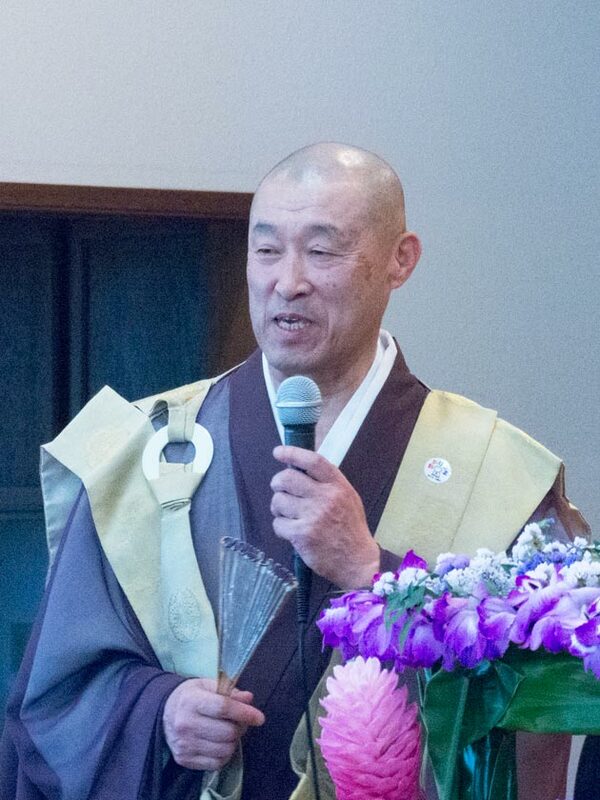 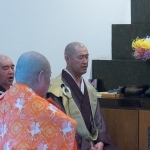 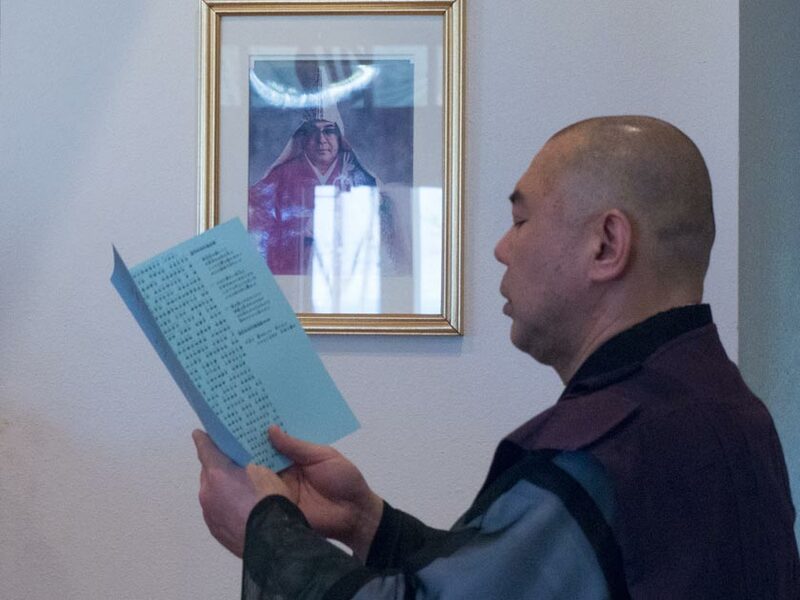 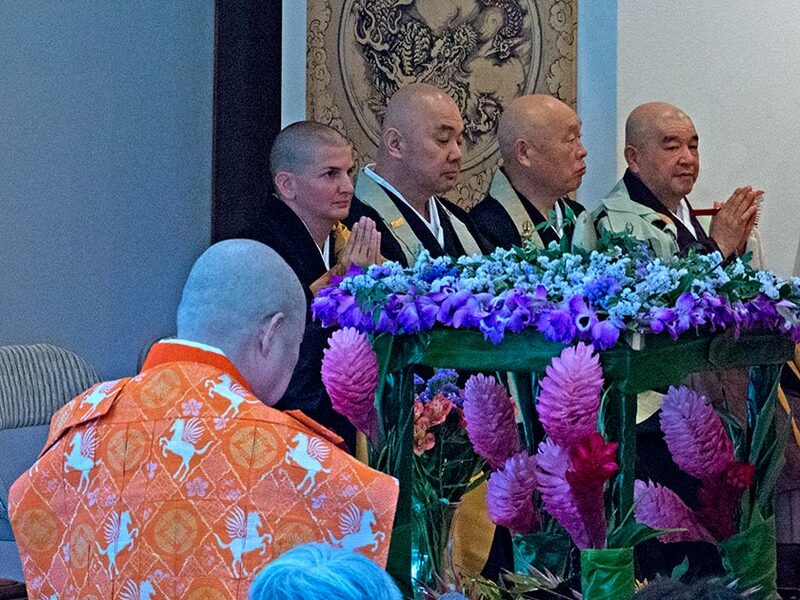 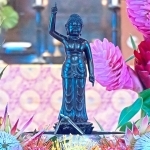 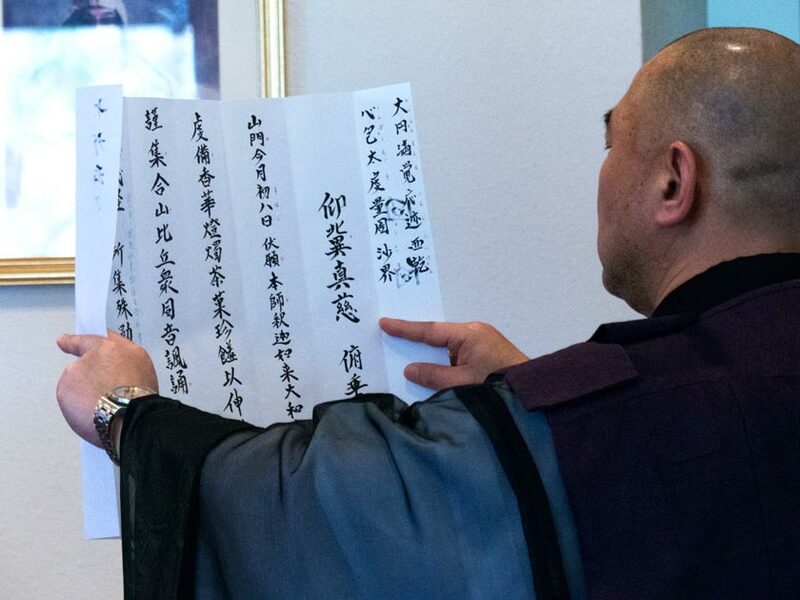 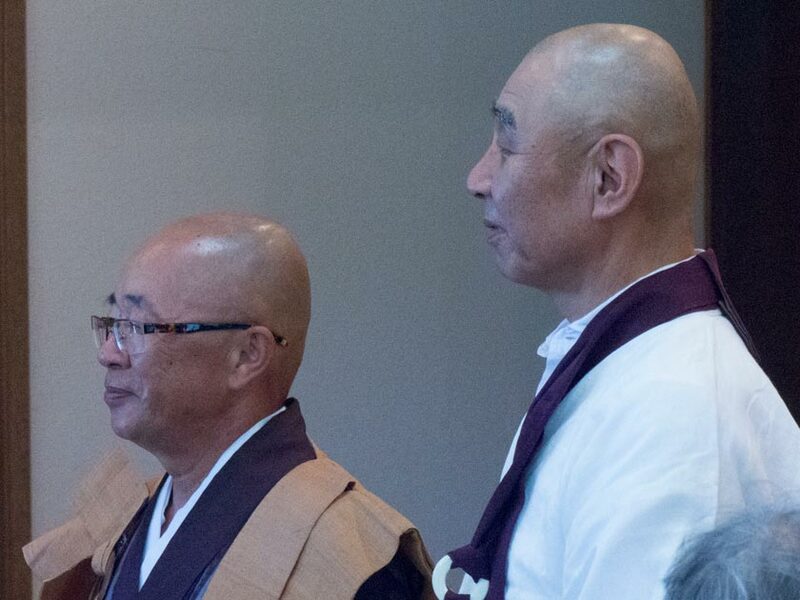 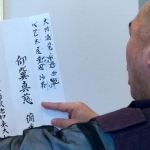 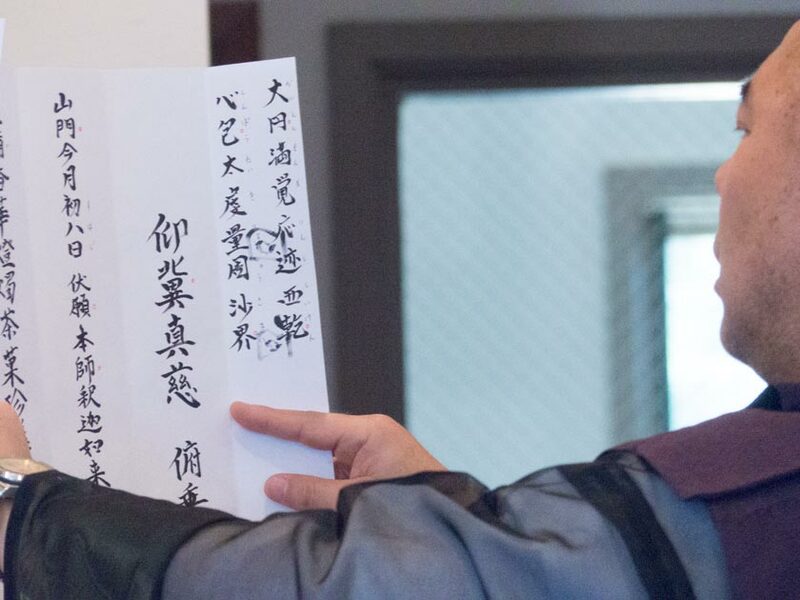 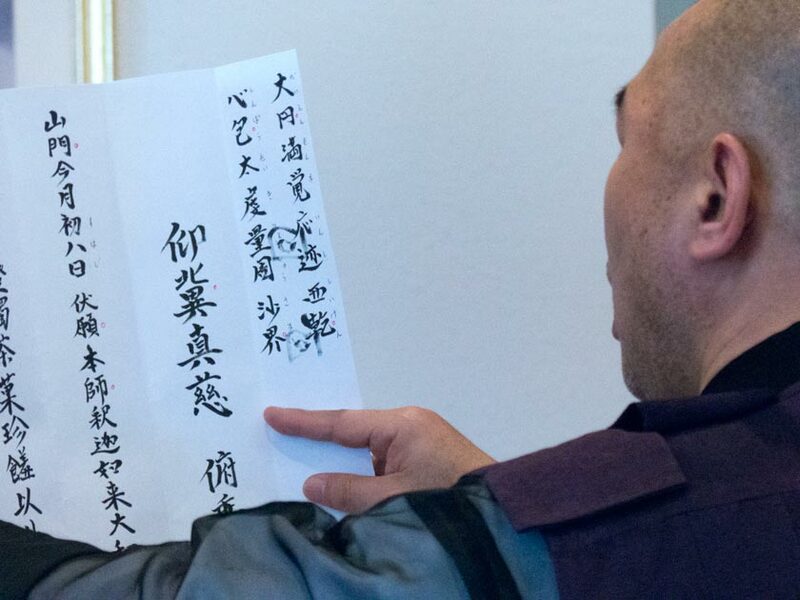 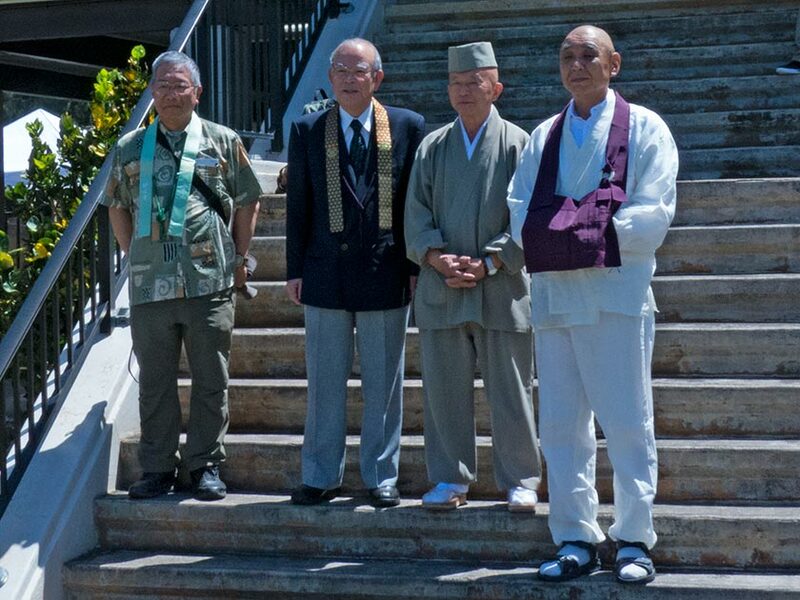 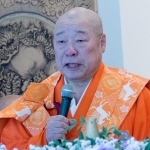 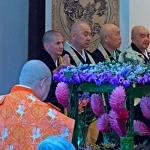 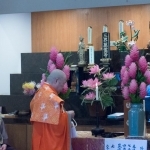 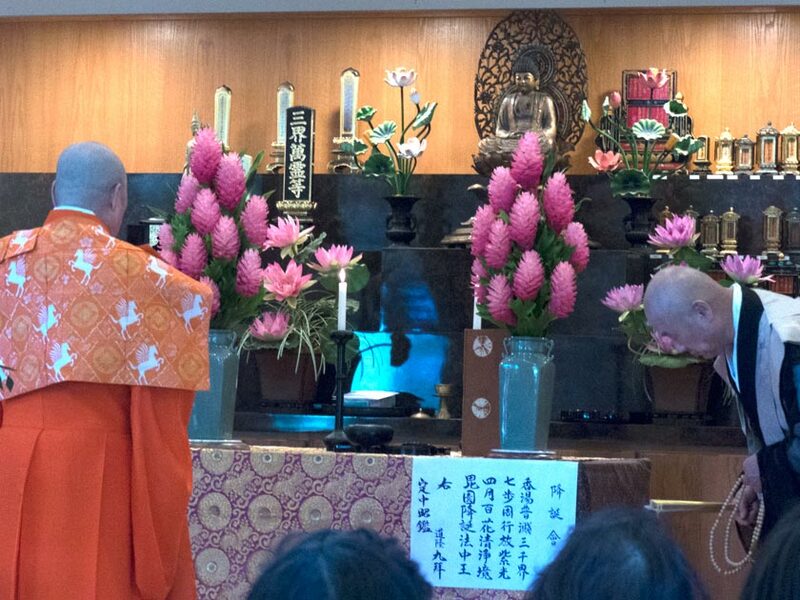 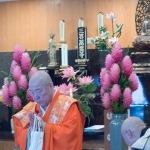 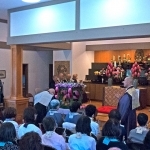 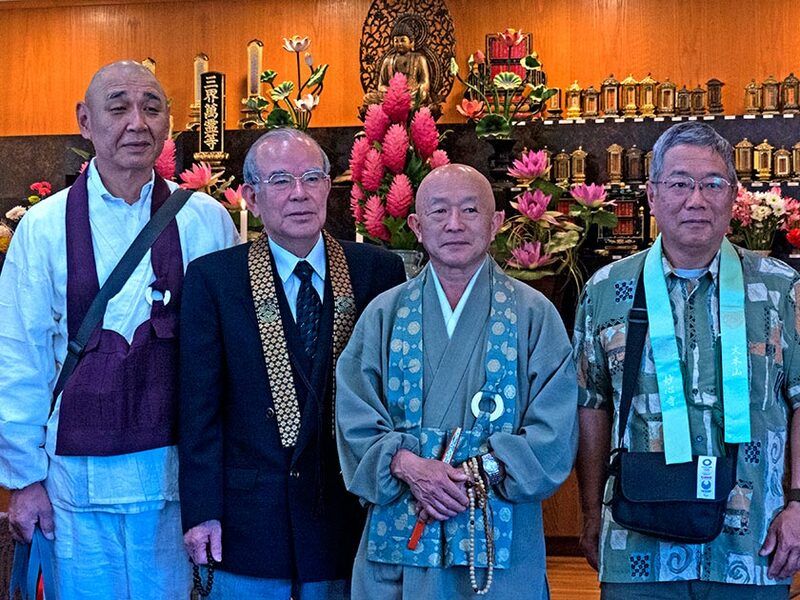 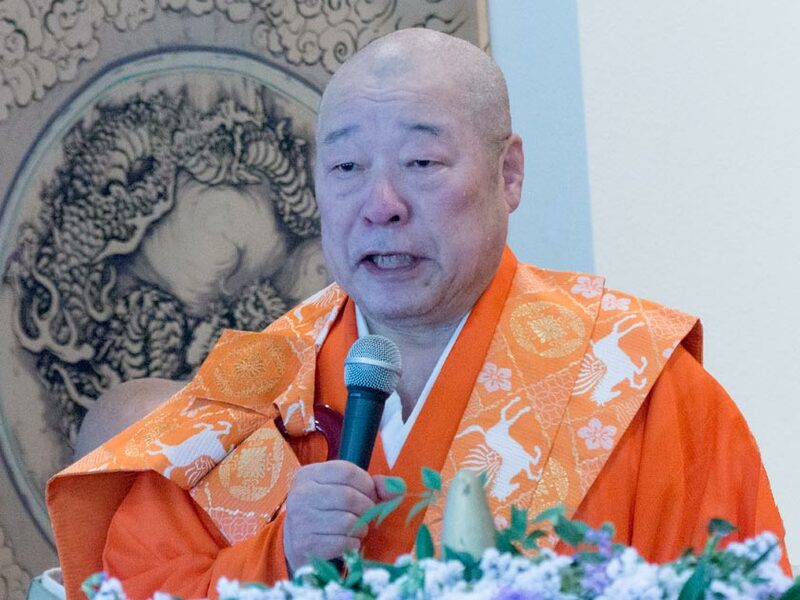 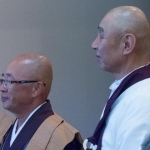 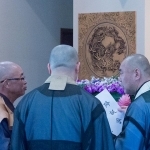 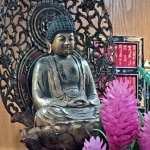 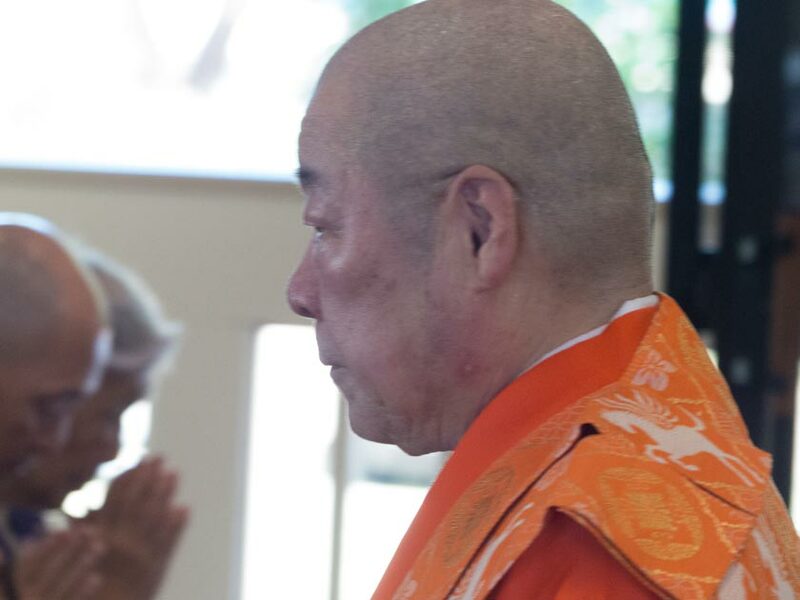 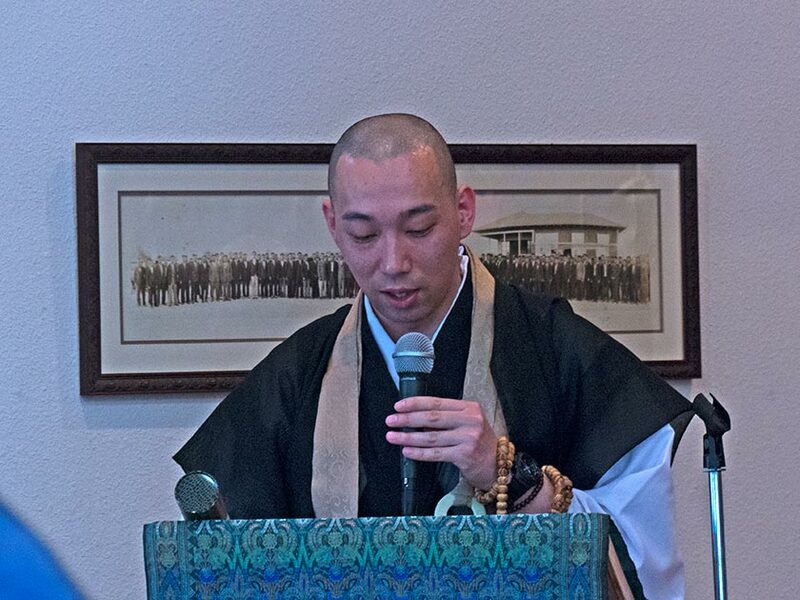 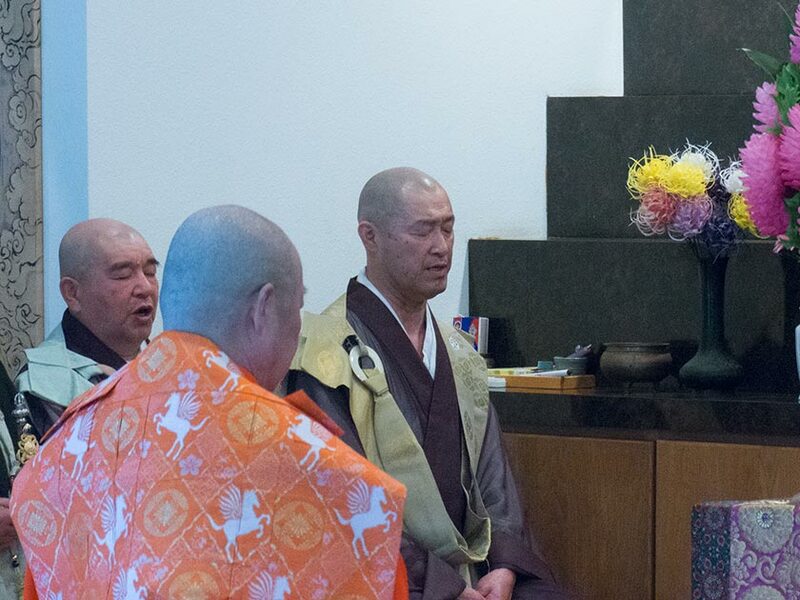 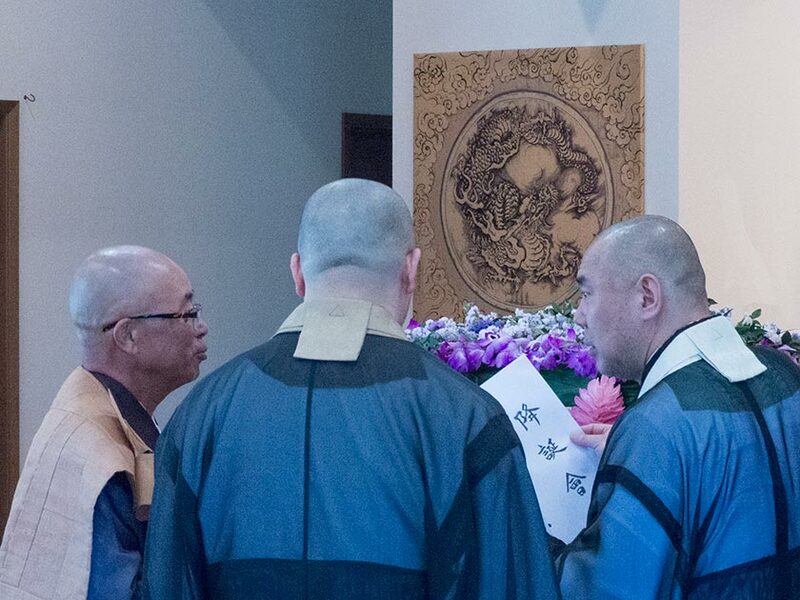 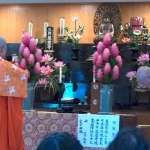 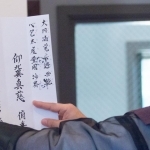 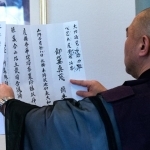 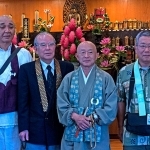 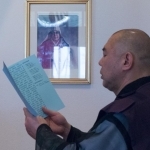 Koshin Cherin, Resident Priest of the Paia Mantokuji Soto Zen Mission, Mantokuji Congregants, and Officers of the Mantokuji Board of Directors. 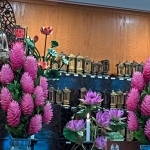 The ceremony was accompanied by a whole choir, comprised of members of the delegation, who sang and played their Goeika beautifully which perfectly complemented the beautiful service. 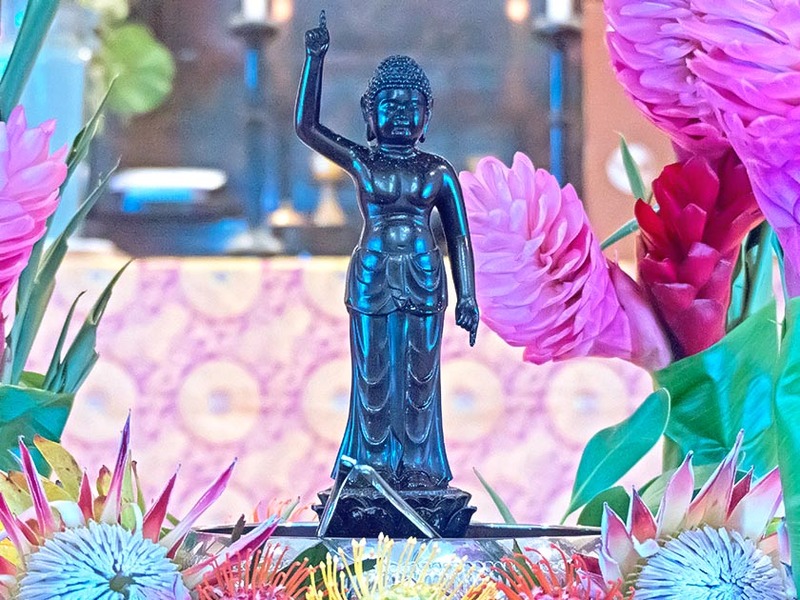 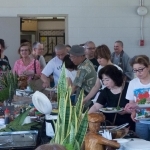 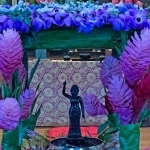 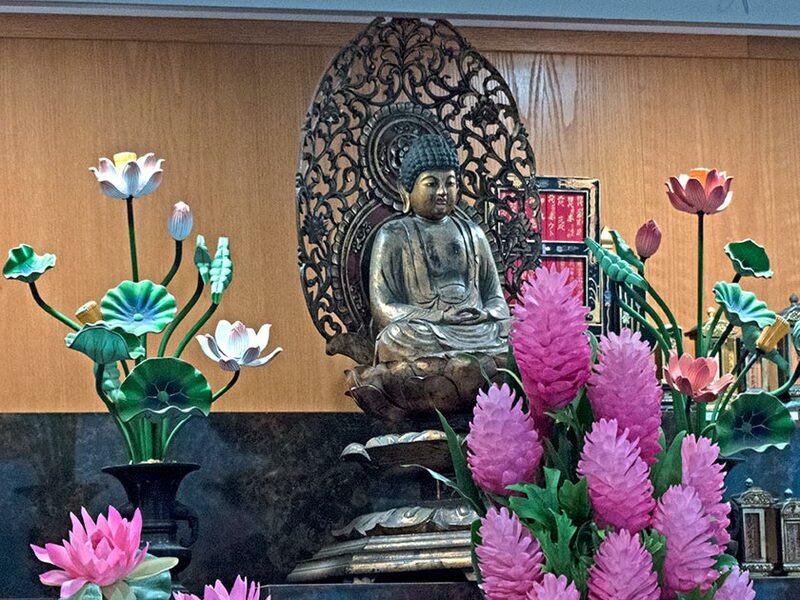 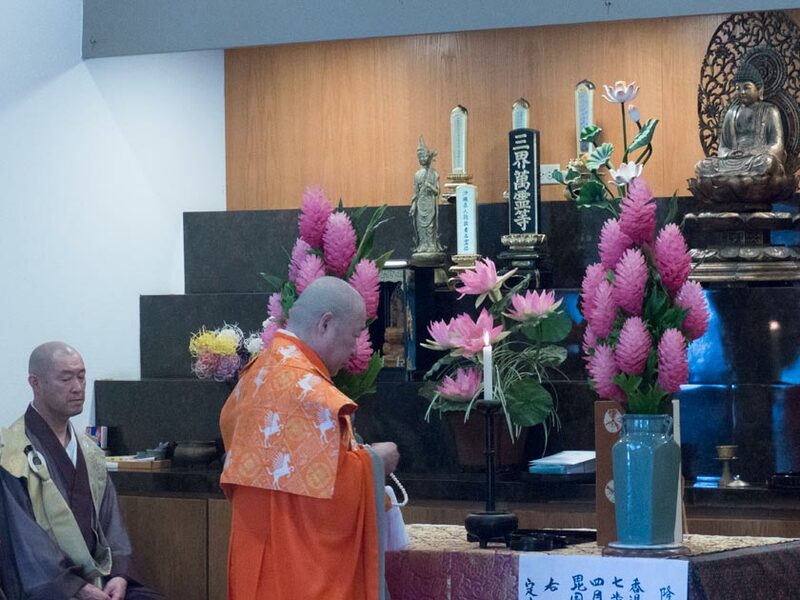 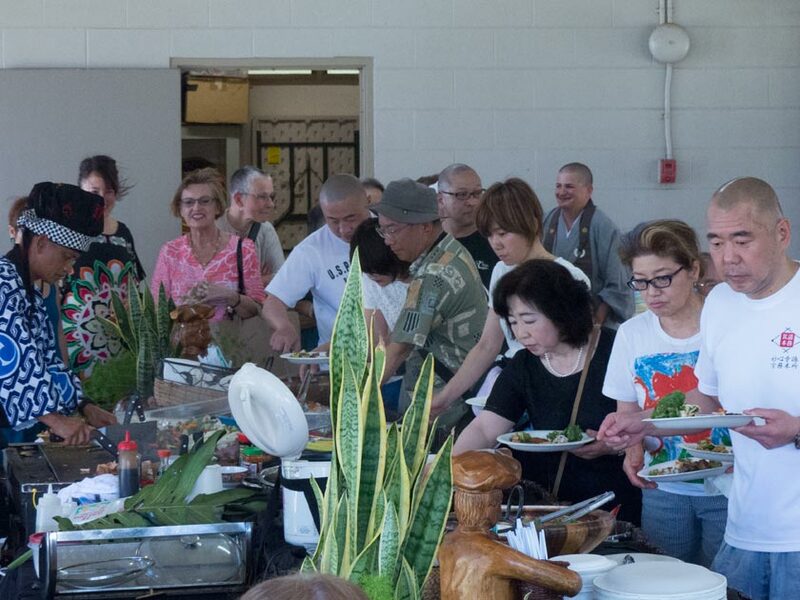 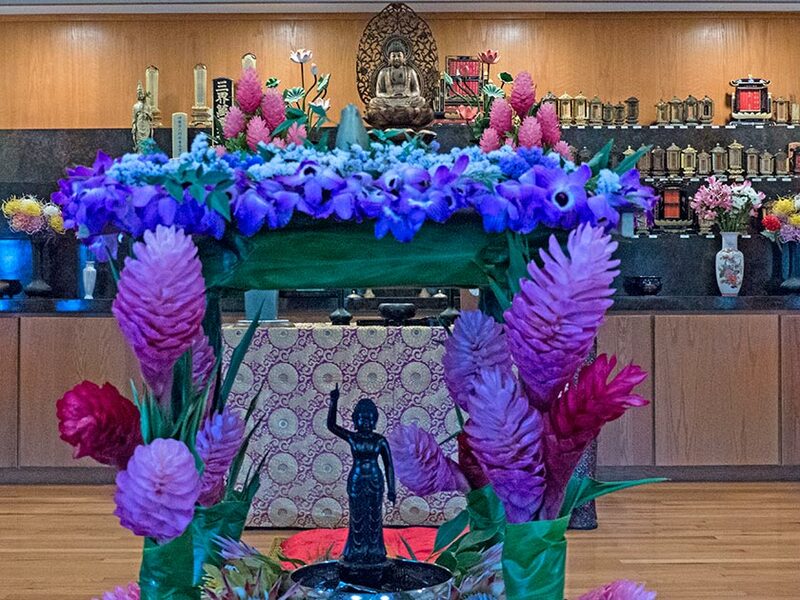 The photos in the gallery below don’t do justice to the beauty of the altar with a spectacular display of flowers from Masako Cordray and the artistic talents of volunteers who included Our president Mr. Alan Nago and our dedicated Board of Directors officers. 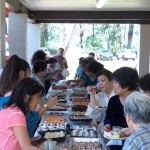 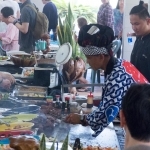 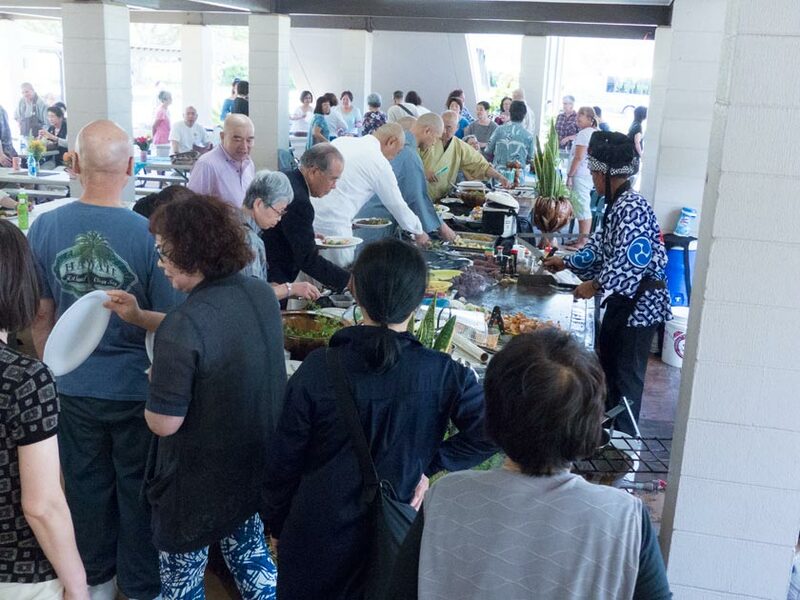 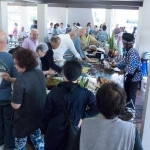 The remarkably amazing visual and delicious 5 star catered lunch that followed was well earned by the participants in the service and much appreciated by the congregation and guests.